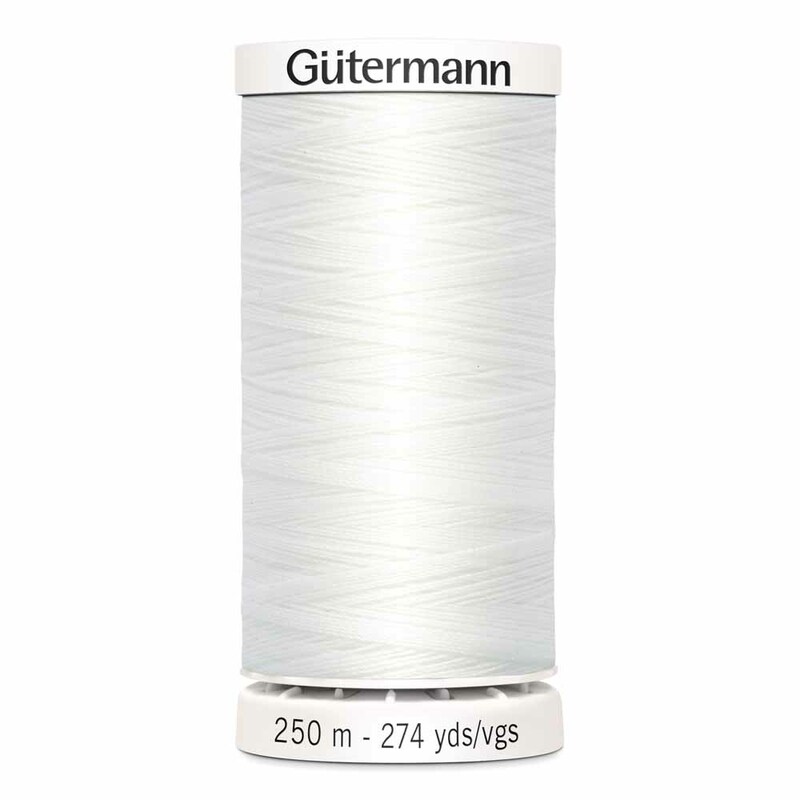 Gütermann Sew-all thread is the right sewing thread for all fabrics and seams. It’s great in high performance machines because of its high tensile strength and elasticity. Sew-all thread is designed to handle the demands of all stitch types. Not only is Sew-all great for construction, but due to its beautiful finish is can be used for ornamental and decorative seams and even thread painting. Made in Germany to the highest technical standards. No fibre lint when sewing. Recommended needle size 70 – 90. White spool colour. TKt No. 100, Tex: 30, Dtex: 300, 2-ply. Suggested needle size: US 10/14 (70-90).